Regional education leaders are looking for ways to improve the experience of all stakeholders and to maximize the ROI of each investment. That's where we come in. There are many ways to improve student outcomes and we help identify what works best for your area. We take the time to get to know your state or group of districts and their challenges, and we customize our approach to meet your needs. Our team has experience in supporting states and groups of districts with initiative alignment, change management, professional development, stakeholder buy-in, and in developing ways to scale sustainably. 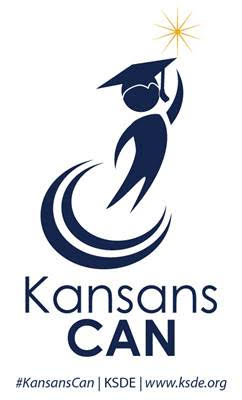 Education Elements is supporting Kansas State Department of Education (KSDE) to deepen and scale the Kansans Can School Redesign project across the state. Our work together is focused on building the knowledge, skills, and capacity of Kansas state, regional, district, and school teams. With the goal of supporting school redesign across the entire state of Kansas, we are working on developing regional service centers as hubs of information, innovation, and development. These centers will build the capacity of 50 state and regional service center staff to be trainers of school redesign and coaches who support 47 districts and more than 103 schools during the 2018-19 school year, and who will continue to grow from there. Also, by developing redesign expertise at the state level we ensure the team can anticipate the needs of their communities. This preparation will allow them to provide the knowledge and resources to empower teams to lead innovative changes in their communities. Education Elements is working with One Georgia Authority (OGA) and the Governor’s Office of Student Achievement (GOSA) to design and implement personalized learning in turnaround schools with the intention of developing a model for improving student achievement in struggling schools and districts. As part of the T3 grant program, we are working side-by-side with those districts, as well as GOSA personnel dedicated to this project, to create and refine personalized learning environments that nurture the potential of every student. Our work includes 13 schools in 4 districts. The work began in January 2018 and in Fall 2018 all 13 schools are launching new instructional models designed to meet their unique needs. We are helping build T3 recipients' capacity to scale personalized learning across the entire system as well as support individual schools. With each of the four district leadership teams, we defined their vision for personalized learning and developed supports that align with this vision. Our Personalized Learning Framework, alongside a Readiness Assessment, served as the foundation for identifying areas of need and focus for each school. With the each of four districts’ school teams we built each school’s knowledge of personalized learning and design thinking so that schools can lead and support a design process at their school sites. We exposed the teams to design thinking and innovative personalized learning models so that schools might ultimately create their own instructional models. Throughout our work together we used, and still use Touchpoint, a project management tool that provides a single place to manage resources, including instructional designs, presentations, and workshop and meeting agendas, as well as track timelines and progress against project goals. While this work directly touches only 13 schools in 4 districts, we are already hearing about changes in other schools within each district, and planning to scale in other districts across the state. We are proud to have been selected as a content provider for the Pennsylvania Inspired Leadership (PIL) Program. The Pennsylvania State Department of Education’s PIL program is a statewide, standards-based continuing professional education program for school and system leaders. The comprehensive, cohort-based program is focused on developing the capacity of leaders to improve student achievement. We will be guiding school and district leaders through leadership seminar based on The NEW School Rules: 6 Practices To Lead a Thriving, Responsive School System. This course is for leaders who want to improve how their teams collaborate, make decisions, and achieve their goals. After leading change with more than 750 districts and schools, the Education Elements team designed this course based on noticing patterns on how teams work together. Team dynamics sometimes hold us back rather than move us forward. We know there is a better way for district teams to meet, function, and make decisions, and that the changes we make to processes can lead to better academic results, greater teacher retention, and more thriving school systems. PIL professional education programs are offered through eight regional sites. We are grateful to partner with Allegheny Intermediate Unit 3 (AIU3) to offer this course to leaders across the state of Pennsylvania. For more information on the seminar visit our event site. Wayne-Finger Lakes region encompasses 25 unique school districts. The districts vary from very small, rural districts serving 600 students to small-city school districts serving 4,300 students. Leaders from districts across the region set out to change teaching and learning and to move towards a common goal of more personalized learning. They were supported by the Wayne-Finger Lakes BOCES which provides these 25 component districts with educational services and opportunities for districts to collaborate. In exploring how to rethink teaching and learning models, districts in the region determined that they needed not only a structured process for introducing personalized learning to their educators, but also different support options for districts based on their instructional, organizational, and financial needs. Currently, Education Elements supports 12 districts in the Wayne-Finger Lakes BOCES region, as well as the BOCES instructional programs. Education Elements supports six districts in an individual support model and six districts and the BOCES programs in a consortium model. In the individual support model, Education Elements provides in-district support to school leadership teams. In the consortium model, Education Elements provides support to leaders from several districts in a central location, who then return to their districts to lead training. Both support options build in-district capacity while providing districts with the support option that’s right for them. Check out the WFL BOCES story. 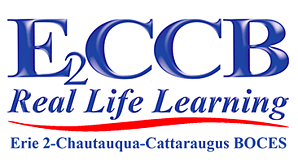 In the western part of New York state, Erie 2-Chautauqua-Cattaraugus BOCES (E2CCB) provides education leadership and services to 27 school districts across Chautauqua County, southern Erie County, and part of Cattaraugus County. Several years ago -- like many New York districts -- districts in the region received funding to increase classroom technology. Leaders from both the BOCES and component districts identified a need to ensure that the technology would support student-centered instruction. As a result, three districts and the E2CCB instructional programs came together to receive instructional training from Education Elements in a consortium model. Education Elements provides support to these district leaders in a central location, who then return to their districts to lead training. In SY 2018-19, Education Elements will continue to build the capacity across the region through targeted coaching for E2CCB instructional staff who will support additional component districts, as well as continued training for BOCES site-based principals. An excerpt from the new book from Anthony Kim & Alexis Gonzales-Black. A book that is both a practical guide for how to improve the practices of schools and districts as well as a thoughtful examination of the self-imposed barriers that can get in the way of getting work done in organizations.